Woof Weekly! – Be That Dog! Welcome to our new weekly ruff roundup, Woof Weekly! Find out everything in park and society news, fashion favourites, celebrity dog gossip and more! The week started with a very Happy Halloween and some good and not-so-scary clowns! Jeff thinks licking out the fish skin packet is Jeffervescent! We’ve taken to sharing the heated window seat in the Lookout Library as temperatures have dropped in London! A wonderful pal in West Virginia, USA made us some beautiful ornaments for our tree! And because we all love cheese, a pal in Wisconsin, USA made us this fab decoration for our tree! For Bonfire Night we watched Christmas movies in bed and had lots of snuggles and movie snacks! Howard and Jeff sailed through their first Bonfire Night with flying colours! It’s always a ribbies party! Sunday already? Where did the week go!? It was Halloween on Monday, so all the best dogs were “some pumpkins”! Our best smiles come with eating ribbies! Huw says rain has a lot of disadvantages, but letting things slip in the fashion stakes is not one of them! London Black Cabs are not just London icons. They are almost 100% dog-friendly. Of course, you need to ask the individual driver, but so far we have never been refused carriage, even in the rain! We love the London cabbies! And we have all ridden like superstars in the original and the best chariot in the world … the Hackney carriage. 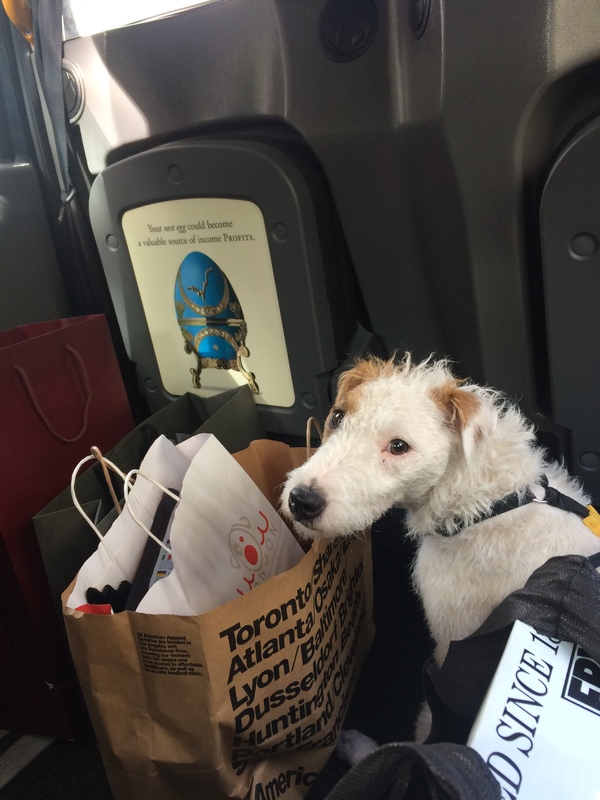 So a big shout out to London cabbies and thank you for being dog-friendly! This week, Lisa Vanderpump hosted a glamorous gala for her dog charity, the Vanderpump Dog Foundation Gala. Rumour has it that there were a few noted absentees amongst her Real Housewives of Beverly Hills co-stars, including Lisa Rinna, Eileen Davidson, and Erika Jayne. So they are now off our list as well! Oprah Winfrey has asked Santa Claus for a $395 personalised dog blanket. But I see nothing wrong with that! And comedian Rémi Gaillard is going to lock himself in a kennel of a French dog shelter until all 300 dogs currently living at the shelter are adopted. Rémi is trying to raise €50,000 for the rescue. And if you want to see how he goes, he is livestreaming the entire event on Facebook! For all our fans and friends out there!